Green Bay Intelligencer Newspaper Office. This was the first newspaper published in Wisconsin. The building was on Main Street. 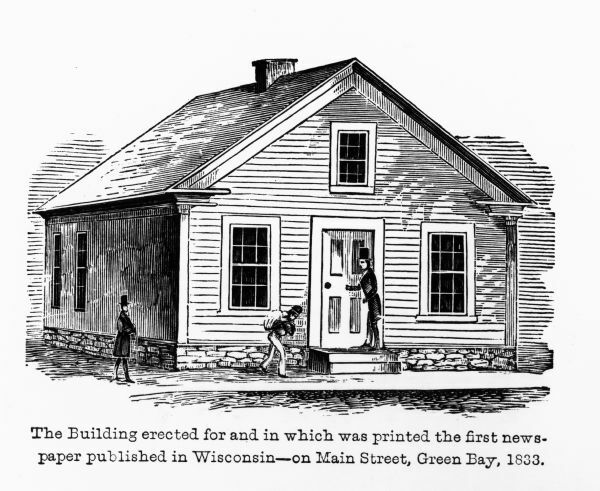 This drawing appeared in and was copied from Proceedings of the Wisconsin Editorial Association, Vol., 1857.